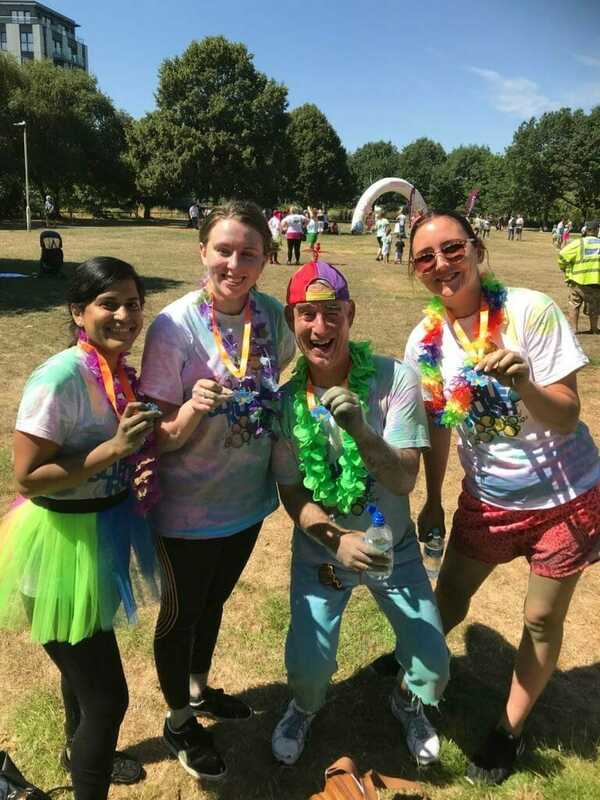 Natalie Smith, Lucy Butterfield, Anu Bhatia and Chris Fairhead, for taking part in Farleigh Hospice’s Bubble Rush 2018. 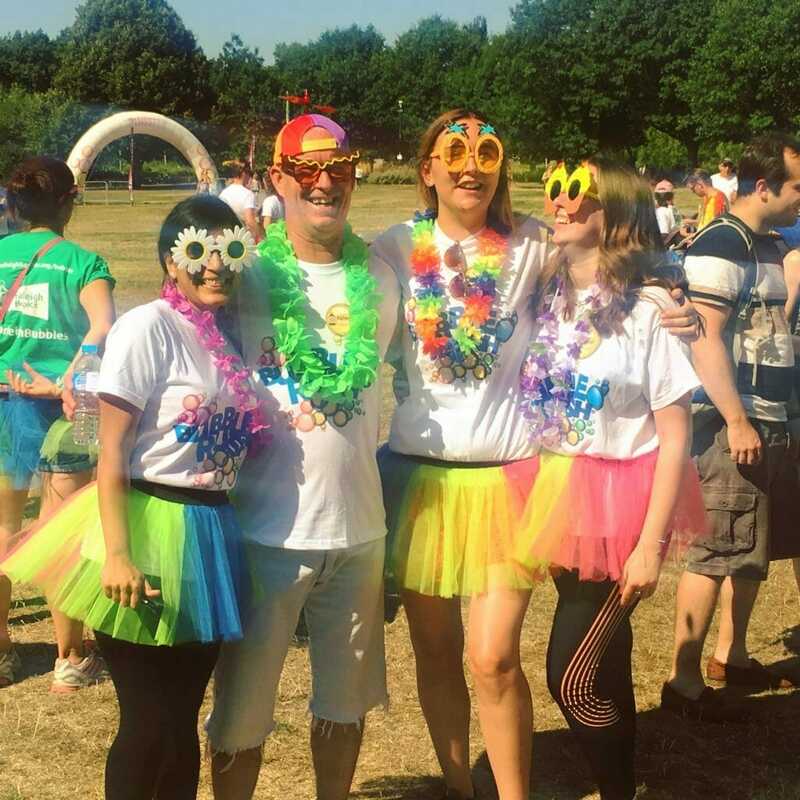 Along with having fun at the event the team have raised £400 for Farleigh Hospice. 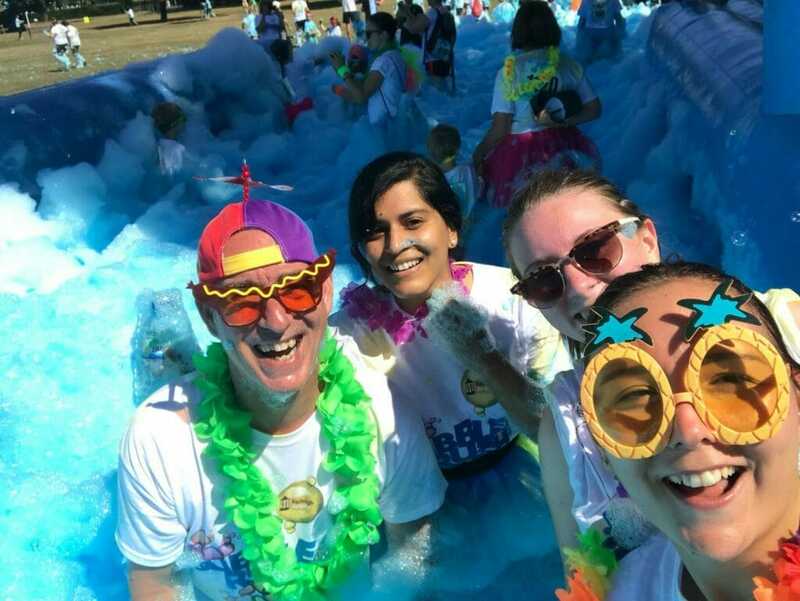 A big thank you to everyone for your support and donating to such a special cause.